Our cooks conjure up exquisite creations from regional market-fresh products and connect international cookery with Tyrolean delicacies. 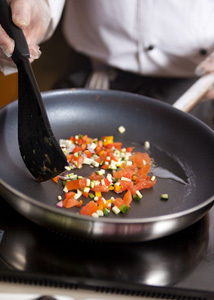 Daily, a 6 course meal is prepared with a lot of imagination and taste. The crisp salad buffet and the once-weekly Italian buffet or Tyrolean evening leaves nothing to be desired. Start your day with delicacies from our generous breakfast buffet like freshly pressed juices, different kinds of Muesli and fresh fruit from the vitality corner. 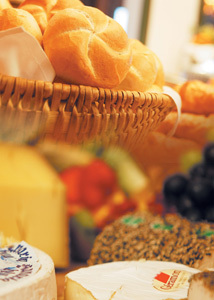 Various kinds of bread, home-made jams and several egg dishes entice you to an extensive breakfast.